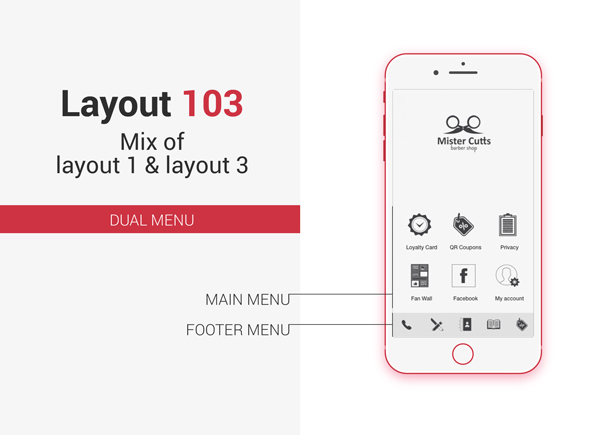 Layout-103 is a layout with dual menu (Main Menu + Footer Menu) which is a combination of default siberian Layout-1 & Layout-3. Footer menu consists of five items, first one is click to call button and other four items are first four features pages of an app. Main menu consists all app pages exclude first four features pages.